The ending is going to rock you to the core! I was following pretty closely when the author dropped it on me. What a great book. Miranda Hodgkins has only ever wanted one thing: to marry Robert Carlisle. And she simply can't wait a moment longer. During the Carlisle family masquerade ball, Miranda boldly sneaks into his bedchamber with seduction on her mind. Soon she's swept into rock-hard arms for the most breathtaking kiss of her life. But when the masks come off, she's horrified to find herself face-to-face with Sebastian, the Duke of Trent - Robert's formidable older brother. It was fun up until the moment the heroine stopped respecting herself and let him take advantage of her. But it ended well and she once again regained my interest. 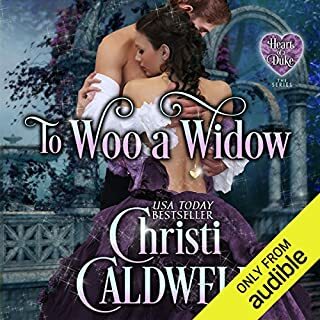 Years ago, Miles Brookfield, the Marquess of Guilford, made a frivolous vow he never thought would come to fruition - he promised to marry his mother's goddaughter if he was unwed by the age of 30. Now, to his dismay, he's faced with honoring that pledge. But when he encounters the beautiful and intriguing Lady Philippa, Miles knows his true path in life. It's up to him to break down every belief Philippa carries about gentlemen, proving not only that is love real but that he is the man deserving of her sheltered heart. OK book with good narration.. I liked this short sweet tale. The authors voice was what kept me hanging on. He had perfect intonation. Follow the story of one young woman who suddenly finds herself destitute on the streets of Paris in 1878. Faced with the need to survive, she agrees to become a prostitute in one of the most infamous brothels in Paris. Ashamed of her choice and fearful for her future, she meets a handsome lord who has paid a hefty price to take her virginity. Little does she know that the man chosen to deflower her innocence will change her life forever. Warning: Don't buy this one!!!! What disappointed you about The Price of Innocence? Has The Price of Innocence turned you off from other books in this genre? What does Stevie Zimmerman bring to the story that you wouldn’t experience if you just read the book? I was driving cross country. I buy them to listen on these long drives. 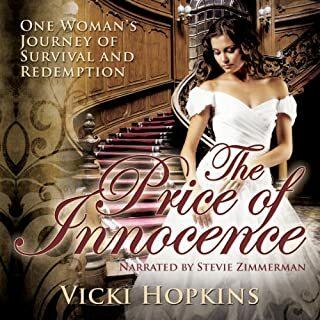 What character would you cut from The Price of Innocence? The characters were fine... it was the story line. I mean, it got worse and then it got bad. I'm never going back to this series again. Lady Emmaline Radcliffe always knew she never wanted to marry a man who embraced the rules of society. But when her mother threatens to secure a suitable match for Emma, Emma sets out to determine if her girlhood infatuation is the love she's been looking for. Nathaniel did save her life once, after all. But when she finds herself in the arms of the gentleman's brother - the serious and proper Duke of Blackbourne - she begins to question all she ever thought she desired. It Was Entertaining For such a Short Story. but the narrator nailed the voices. Males sounded male and the female characters sounded girly. The plan was for beautiful Claire to marry the terrifyingly sinister Simon of Navarre, wizard in residence to Richard the Fair. Instead, her plain sister, Alys, takes her place, proving herself more than a match for the man with the secrets. Meanwhile, sweet Claire falls in love with a handsome knight, and the truly evil Richard the Fair tries to make life miserable for all. I negotiated 2 chapters on a recent trip with my husband. We listened to 5. At one point I wanted to throttle the sister, but the end was perfect. The Earl of St. Merryn needs a woman. His intentions are purely practical - he simply wants someone sensible and suitably lovely to pose as his betrothed for a few weeks among polite society. He has his own agenda to pursue, and a false fiancée will keep the husband-hunters at bay while he goes about his business. The simplest solution is to hire a paid companion. Finding the right candidate proves more of a challenge than he expected. Amanda Quick has done it again. I adore Quick's use of imagery. She is truly a master of verbiage. All I'm thinking now is ... More please? Her last memory is of her violent death, and now she's screaming for vengeance. He's a Laird with enough sins to stain his soul, but he's cursed for the crimes of another. With a clan divided, an impending marriage, and whispers of dark magic threatening the Highlands, a tempting Banshee is the last thing he needs in his chambers. 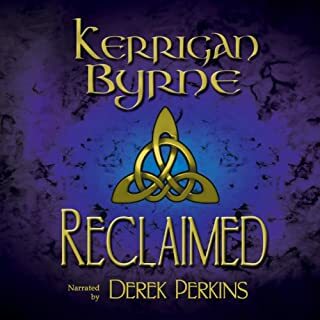 If you could sum up Reclaimed: A Highland Historical Trilogy in three words, what would they be? Kamdryn was my fave character. She was witty, sweet, and adorable! What about Derek Perkins’s performance did you like? he did a great girl's voice but the male portrayal was a bit effeminates . The Berserker is the ultimate male. I'd like to hear that.